Jaipur, 3 December, 2016: The sixth edition of Condé Nast Traveller Reader’s Travel Awards took place recently at The Lodhi in New Delhi. 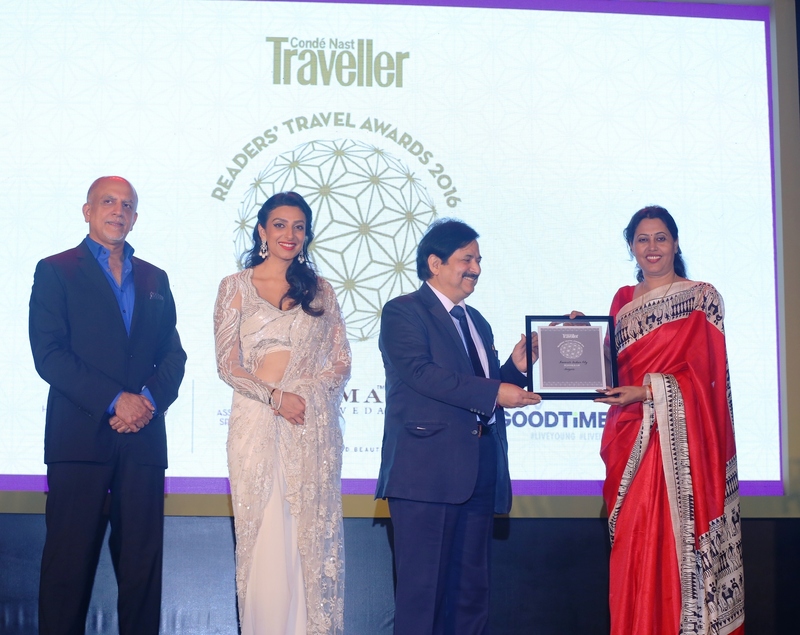 The Readers Travel Awards, chosen through a readers’ voting process spanning across 2 months, recognized the best in the travel industry and this year Jaipur has been awarded the “favourite Indian cities”. The Secretary, Ministry of Tourism, Government of India, Mr. Vinod Zutshi, gave the award to the Additional Resident Commissioner in New Delhi, Government of Rajasthan, Dr. Pratibha Singh. On the occasion Mr. Zutshi informed that Rajasthan is known the world over for tourism. A large number of domestic and International tourists come every year to witness pink city’s art and culture.